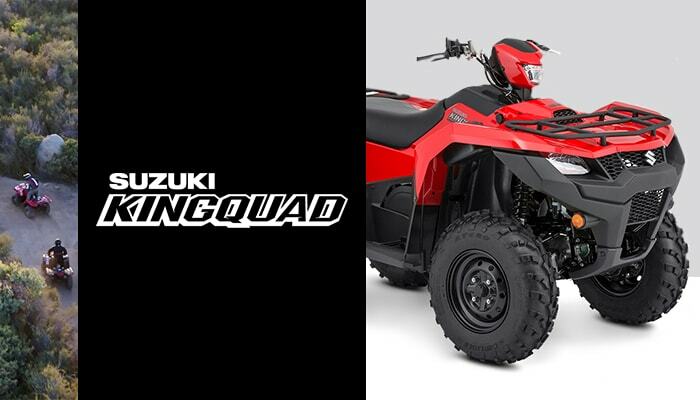 ‘’Assembled in the USA, and designed for the hard-working men and women of our country, Suzuki, the company that invented the four-wheel ATV, is proud to announce the new KingQuad 750 and KingQuad 500 ATVs. Building on Suzuki’s heritage of ATV leadership, these two models feature an array of new improvements that deliver the most powerful, reliable, and capable KingQuad machines that Suzuki has ever built.’’ – SUZUKI. The electronic power steering module has over 30% higher output to significantly reduce steering effort. For more information, visit the official Suzuki website.